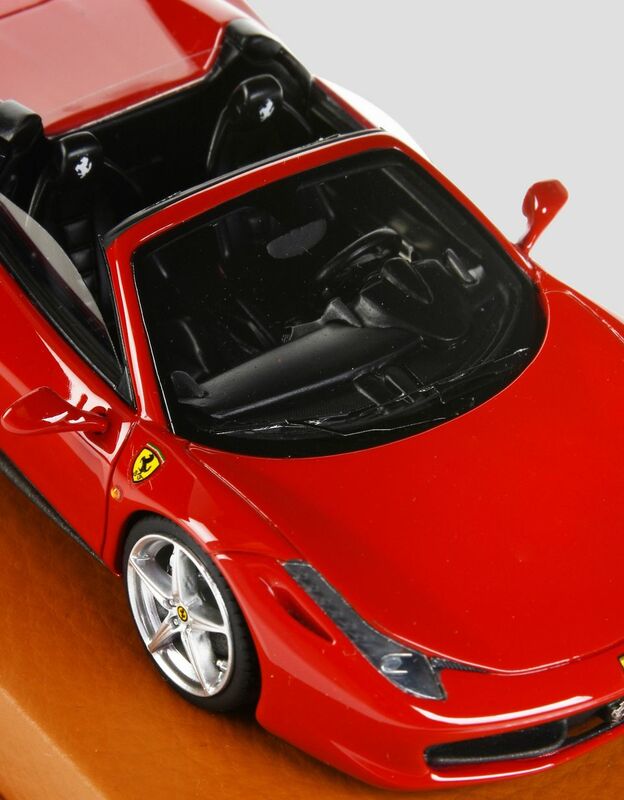 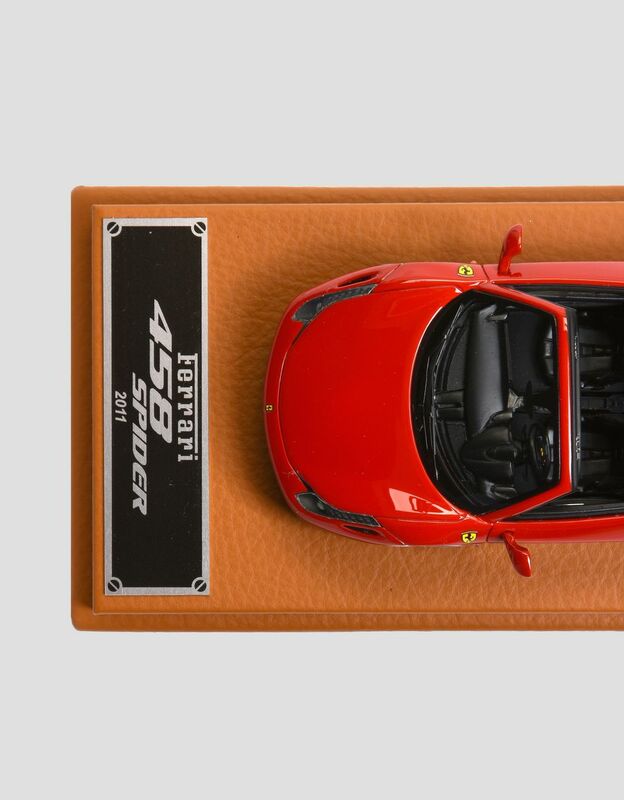 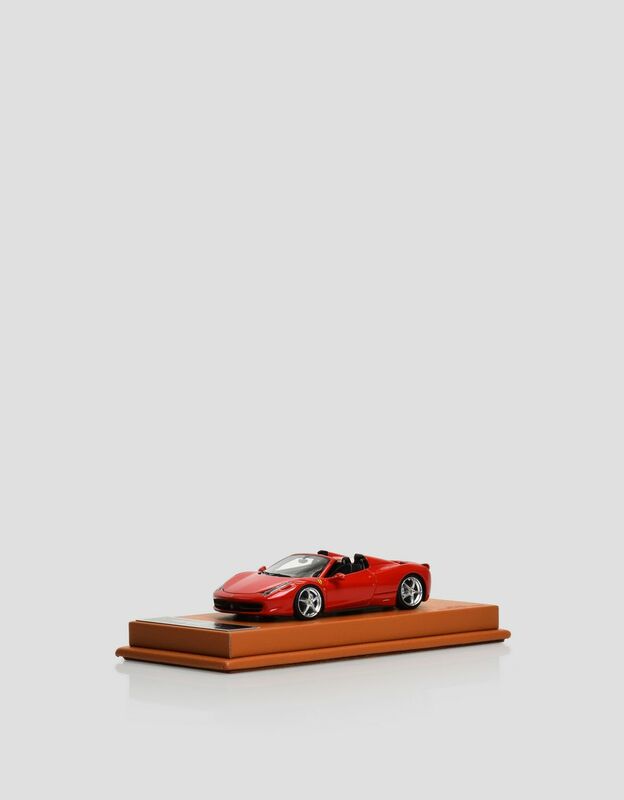 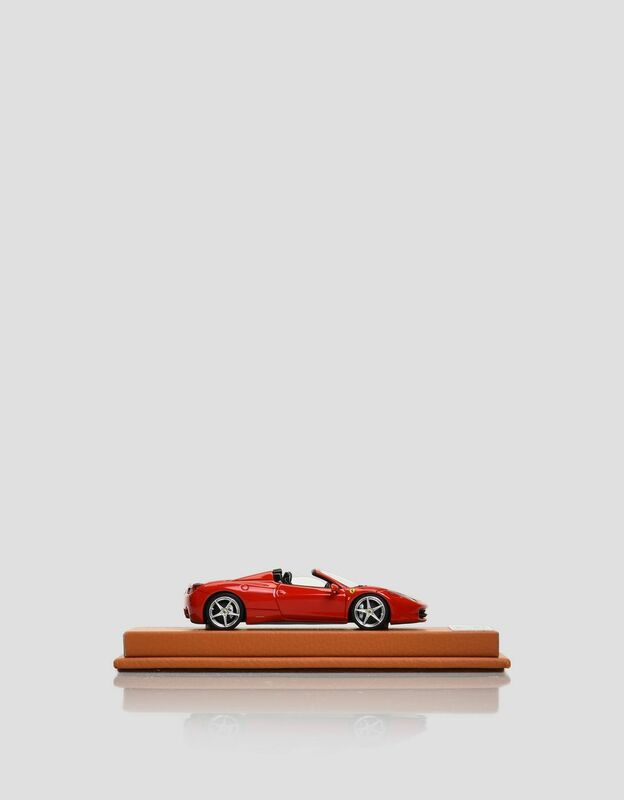 This Scuderia Ferrari model is a 1:43 scale replica of the legendary Ferrari 458 Spider. 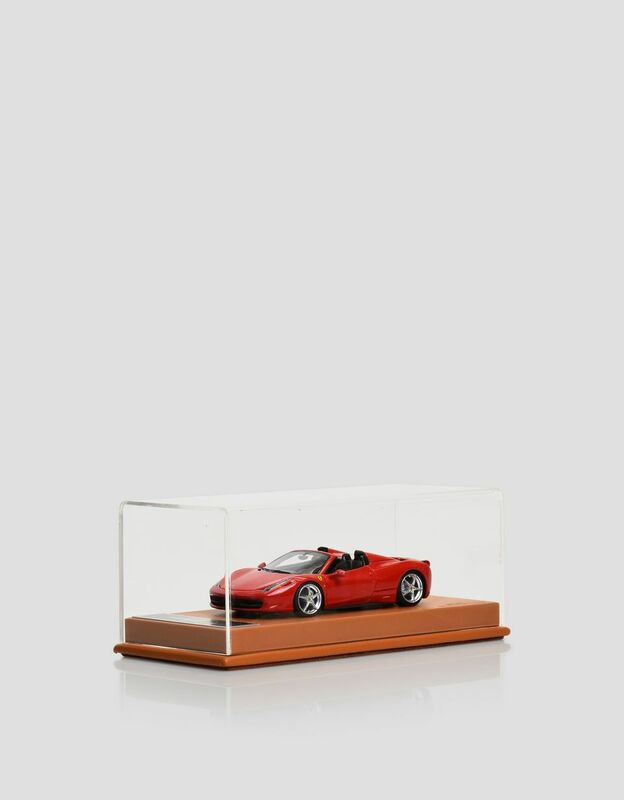 Featuring a plexiglass case and customized plate, this model celebrates the new spider with a hard, retractable roof: a world first for a car of this design, which uses an innovative Ferrari-patented solution. 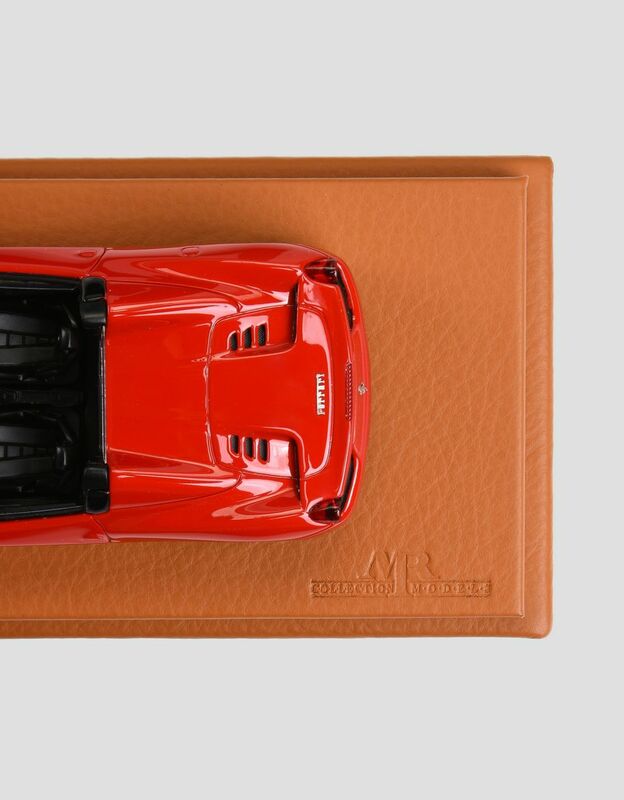 The leather base is adorned with the name of the model and the year 2011 when the direct-injection V8 rear-center motor won the Best Performance Engine prize, awarded for engineering excellence in terms of performance, efficiency and design elegance.